Carmelo Anthony is an American professional basketball player in the National Basketball Association (NBA) known for his almost unstoppable scoring prowess. He was originally drafted third overall in the heralded 2003 NBA Draft by the Denver Nuggets after a stellar collegiate career with the Syracuse Orangemen. He has been an eight-time NBA All-Star and was member of the All-NBA Team six times. Anthony is a prominent member of the U.S. Olympic Men’s National Team. He was part of the squad that won Gold Medals during the 2008 Beijing Games and the 2012 London Games. He holds the record for the most points in a game (37) by a U.S. Olympic player, which he accomplished in 2012 against Nigeria. 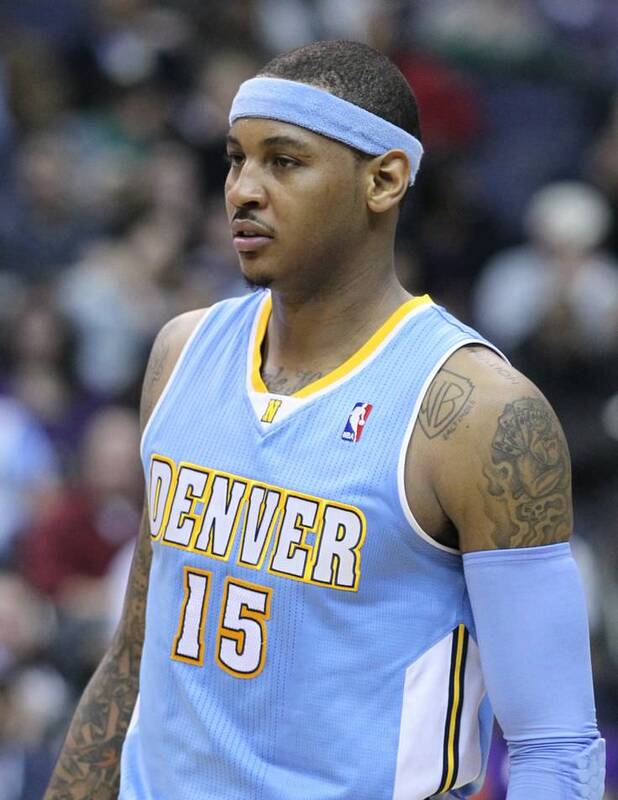 Carmelo Anthony is a famous American basketball player, who was born on May 29, 1984. As a person born on this date, Carmelo Anthony is listed in our database as the 2nd most popular celebrity for the day (May 29) and the 18th most popular for the year (1984). People born on May 29 fall under the Zodiac sign of Gemini, the Twins. Carmelo Anthony is the 62nd most popular Gemini. Aside from information specific to Carmelo Anthony's birthday, Carmelo Anthony is the 462nd most famous American and ranks 266th in famous people born in Brooklyn, New York, U.S. In general, Carmelo Anthony ranks as the 786th most popular famous person, and the 15th most popular basketball player of all time. “The Famous Birthdays” catalogs over 25,000 famous people, everyone from actors to singers to scientists to serial killers and more. If you're curious to see who was born on your birthday, you can use our database to find out who, what, where, when and why. You can search by birthday, birthplace, claim to fame or any other information by typing in the search box, or simply browse our site by selecting the month, the day, the horoscope, or any other clickable option. 266th born in Brooklyn, New York, U.S.